Okay, aside for the P2P element, it’s a really solid update. The Kingdom Tycoon is a section of the game that operates like the board game Trouble. You pay 1 Luck Token and you can spin the dice 1 time. For those who never played monopoly as a child, a dice has 6 options. The outcome of the dice spin will determine how many steps you will take. Whatever you land on, you will win! Also, one other thing. Someone has to stop that annoying live feed of the winners! 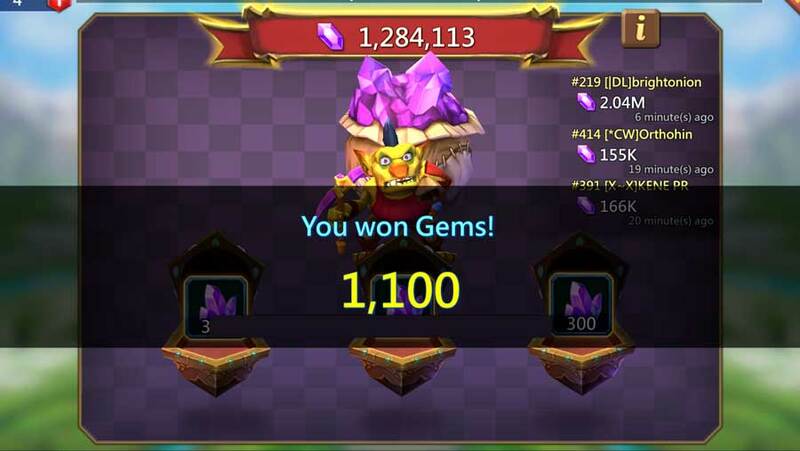 I really don’t care who just won a lot of gems. IGG has to stop spamming my screen. I don’t need to look at an endless update of literary vomit! This is a great question. The first step would be deep meditation. The second step would consist of a solid understanding of troop counters and game theory. And the thirds step would be to finish all the researches in the Academy. Also, there is no stretgy. All you need to do is roll the fake dice and then stop it. If you think you’ve worked out a strategy, then you are smoking something a lot stronger than anything I have ever managed to get! If there was one tidbit that I could give you, it would be to spend 60,000 gems to purchase the 100 Luck Tokens. See below for a better explanation of the rationale. 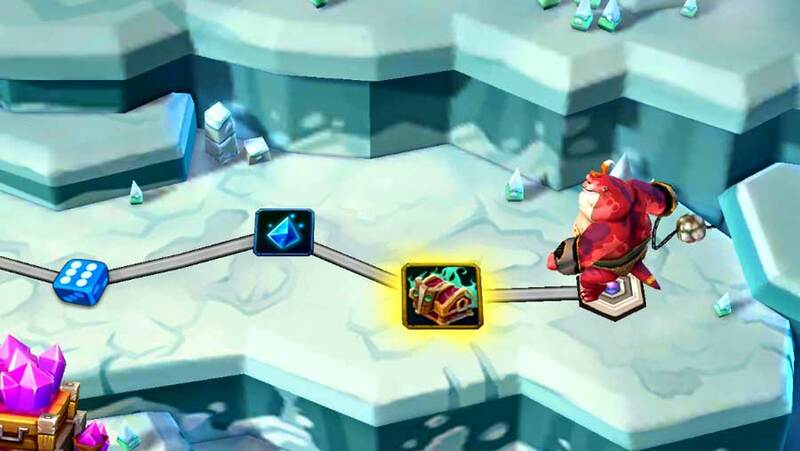 How to Get Luck Tokens? Obviously, IGG provides a few Luck Tokens at the beginning to get you tempted… That’s there basic MO. 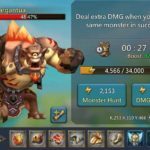 Lords Mobile gives a few free every day if you are lucky! That seems to be it… Go figure! In short, either be rich or be really, really rich to play! Here comes the catch. 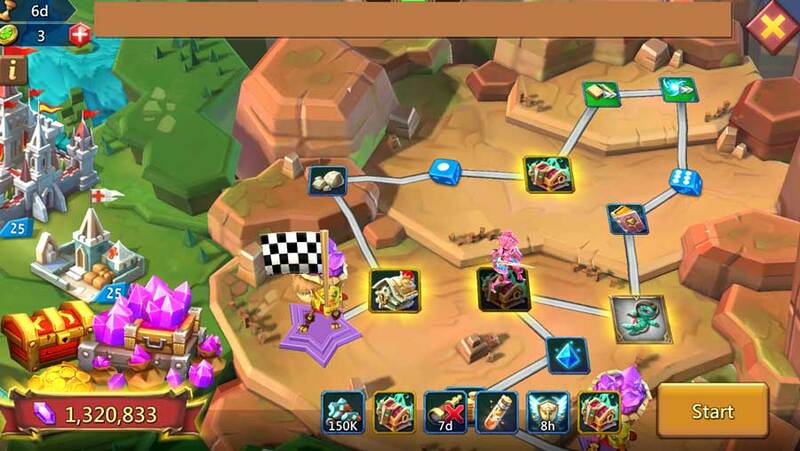 So long as you have plenty of gems, I would strongly recommend investing them into Kingdom Tycoon. 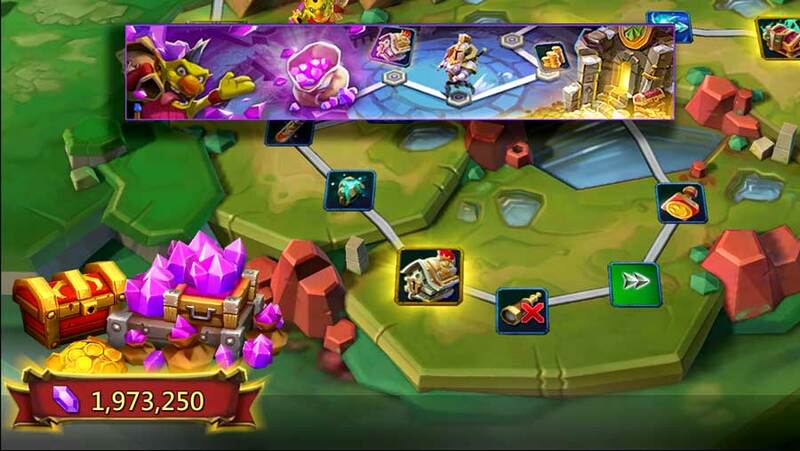 You will very likely get all your gems back in addition to a whole bunch of awesome prizes. The best option is if you purchase the 100 Luck Tokens for 60,000 gems. 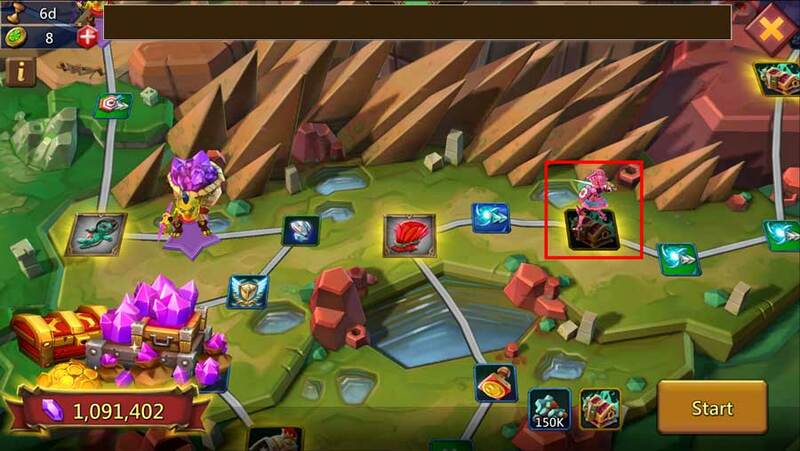 This will give you each Luck Token at 600 gems. 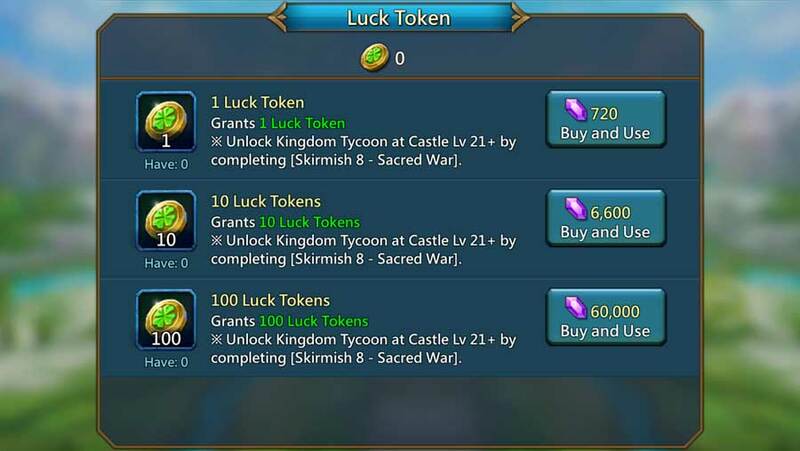 Alternatively you can buy 10 Luck Tokens for 6,600 which will value each Token at 660 Gems. The worst idea would be to purchase 1 Luck Token for 720 gems. Only do this if you are one possible spin away from a Gemming Gremlin. Otherwise, don’t bother playing for just one turn… It’s not worth it! Here’s some more good news. In addition to the gem possibilities, there are many awesome prizes that you can win. 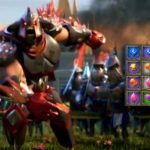 Even if you walk away with a lot less gems than you started with, you will still undoubtfully have a lot of awesome prizes. Crimson Mane from the Champion Gear Chests. This is a bomb of a reward! It’s worth playing the whole game just for this prize! Champion Gear Chests. Yes, I know! This is a massive gift! Stuffed Doll from the Voodoo Shaman. These are hard to come by in the game itself, but dead easy to win in the Kingdom Tycoon! EXP potion boosts and Elixirs. They are good to have! I’m not too concerned with all the technicalities. This game is fun. It has a risk factor but the prizes are fantastic. It is an overall doozy! Are you interested in receiving the articles as soon as they drop? Or are you interested in joining my challenges and winning prizes? Click here to join my mailing list! Alterenatively, you can ask questions or join a discussion in the comments below. Alternatively, you can leave my website and go back to your boring life!